Last month, the U.S. and the European Union approved Universal Music Group's land-grabbing acquisition of EMI, under a few conditions. One of those conditions was that a third of EMI's assets must be sold within the next six months, so as to reduce the sheer volume of market share owned by Universal. 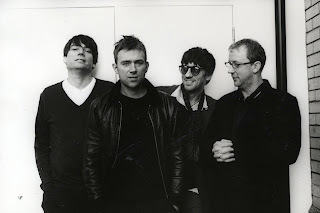 Blur and other British acts are protesting the sale of UK label Parlophone, their home label,The Independent reports. They're lobbying potential Parlophone bidders to consider the interests of the artists. 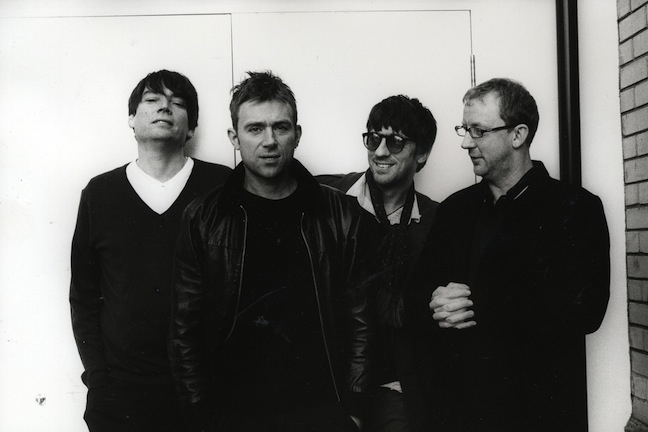 Blur drummer Dave Rowntree told The Independent, "Artists are the only people currently being left out of the conversation, which is unfortunate. If the staff at the label are unhappy with the new arrangements they are free to leave, but the artists are not." If the new Parlophone owners conduct the business of the label in a manner that is not up to snuff, artists are threatening to effectively strike by halting releases. Possible bidders for Parlophone include Warner Music Group, Sony Music Entertainment, BMG Rights Management and more, according to The Independent. Other artists on Parlophone include Coldplay, Kylie Minogue, the Chemical Brothers, and Bat for Lashes. Perhaps this is a sign that those long-simmering threats about the end of Blur as a band are not so valid.